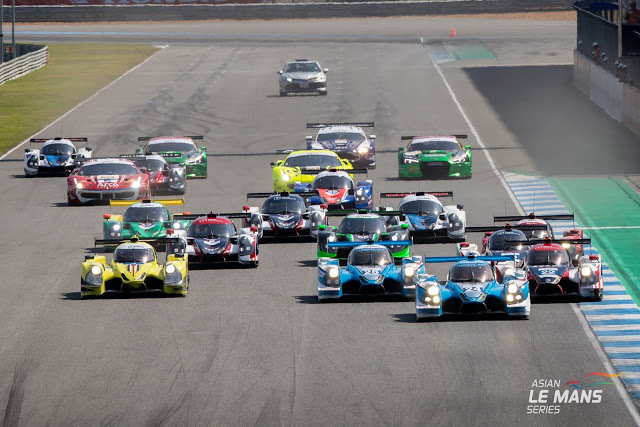 The Asian Le Mans Series once again delivered an action packed race up and down the grid. With tens of thousands fans in the grandstands, and in what was easily the hottest race of the season with ambient temperatures reaching 34 degrees, the battles on track were fierce! At the start of the race it was an Algavre Pro Racing 1-2 after a fantastic getaway from both of the team’s Bronze drivers, Ate Dirk De Jong (#24) and Christopher McMurry (#25). Phil Hanson in the Championship leading #22 United Autosports Ligier JS P2 Nissan was though able to pass them and take the lead early in the race. 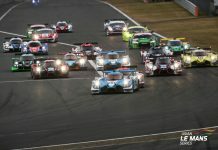 It was Hanson and his team mate Paul Di Resta that led most of the race before claiming their first Asian Le Mans Series race win, extending their Championship lead to 18 points. Whilst a perfectly timed pitstop when a full course yellow was called helped cement their position, the team ran without fault all weekend. The #24 Algarve Pro Racing Ligier JS P2 Judd of Harrison Newey and Andrea Pizzitola came home second, followed by Matthieu Lahaye, Jean-Baptiste Lahaye, and Francois Hériau in the #35 Panis Barthez Competition Ligier JS P2 Judd. 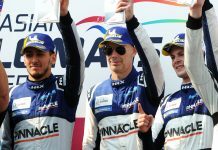 The French team picking up its first Asian Le Mans Series podium. In LMP3 the battle was intense from the start. Once again it was Nigel Moore in the #65 Viper Niza Racing Ligier JS P3 that made a storming start to be up to 4thoutright on the opening lap. His run was cut short after hitting debris and having to hit for new tyres. This left Matt Bell in the #3 United Autosports Ligier JS P3 to pull away at the front of the LMP3 field. As the race went on, it became a battle between the sister United Autosports car, the polesitting Ligier JS P3 of Chris Buncombe, Garett Grist and Wayne Boyd and the #13 Inter Europol Competition Ligier JS P3 of Jakub Smiechowski and Martin Hippe. 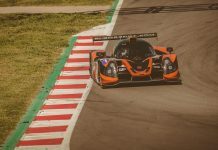 After being forced to pit for loose body work, the #13 dropped out of contention for the win, but fought hard to secure second position and retain the LMP3 Championship lead. They now lead the LMP3 class by 8 points. In third place after the #3 suffered a broken exhaust and got stuck in 4thgear was the #79 Ecurie Ecosse / Nielsen Racing Ligier JS P3 of Tony Wells and Colin Noble.